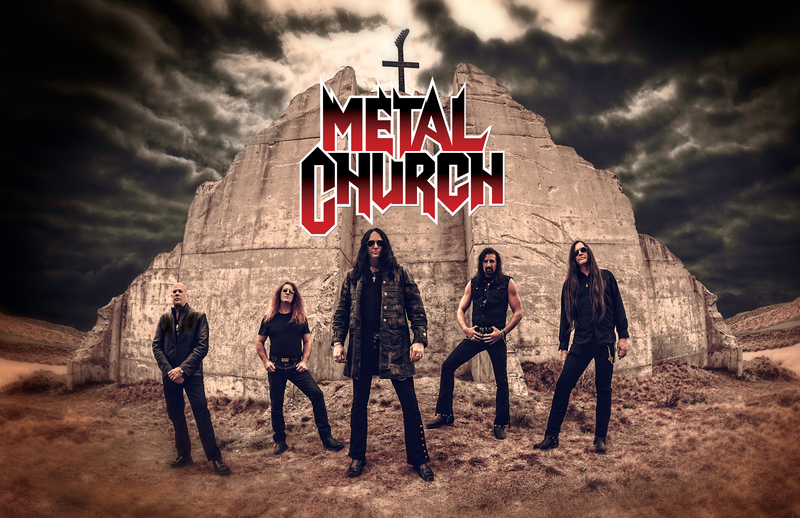 After seemingly calling it quits forever in 2009, veteran heavy metal band Metal Church reunited last year and released their 10th studio album Generation Nothing. The album marked a return to the classic metal sound of the band’s first two studio albums, Metal Church (1984) and The Dark (1986), while still sounding contemporary. We recently caught up with vocalist Ronny Munroe just days before their month long tour of the United States. Limelight Magazine (LM): In 2009, Metal Church announced on its website that they were “calling it quits” due to a number of industry-related factors. What was the chain of events that brought the band back together again? LM: Did you ever expect to be working with Metal Church again? RM: Yes, I knew it would happen when it was supposed to happen and it did. LM: You’re now the longest serving vocalist for Metal Church with four studio albums under your belt. How did you end up getting the position a decade ago? LM: Metal Church could have easily rested on its laurels and went out on the road playing material from their previous studio albums, but the band decided to record a new album. Was that always the plan when the band reformed? RM: Yes, it was. We figured if we were to do the cruise show and have all that exposure that it would be a good time to do a new record. But more importantly, we wanted to give the fans the best possible record we could and I think we did that with Generation Nothing. LM: Reaction to Generation Nothing has been nothing short of stellar. We didn’t think it could get any better than your last studio album This Present Wasteland but it did. Are you pleased with the reaction to it? RM: I am very pleased with the outcome and the reaction of the true fans of the band, but I am eager to do the next one. LM: Can you share with us a little about the recording process for the album? RM: It starts with Kurdt writing and recording demos and then sending them to me to listen too and then write too. We work out the harmony lines and collaborate on the lyrics. But it has always started with Kurdt. He’s a great writer. LM: What’s your favorite song off Generation Nothing and why? RM: I dig the whole record which is odd for me to say because I usually don’t listen to my own recordings, but this one I do. I’ll pick ‘Bulletproof’ because it’s about growing thick skin so the B.S. just bounces off. LM: Metal Church is about to embark on a month long tour of the U.S. Are you looking forward to being on the road again? RM: It’s going to be great to get out there and see and play for the fans again. It’s been a few years but we have the metal burning in our veins and were ready to bring it! LM: What can your fans expect from this tour? RM: A great night of music first off and just a bunch of guys having a great time playing and singing their asses off. LM: Given the bands extensive catalog of music with three different singers, how does the band decide on a set list? RM: We just pick what has always worked best and then throw in a couple different ones just to change it up a bit. LM: Every member of the band is involved with a lot of different side projects. Will the band members continue with their side projects now that Metal Church is back together? RM: Metal Church is a main priority for each and every one of us, but let’s be real. We’re not big enough to just survive on what this band makes. It’s more for the love of music. So yes we will continue doing our side stuff. LM: One thing that really stands out about this band is that you are actively engaged with your fans, especially on your personal Facebook pages. What do you like most about engaging with your fans? RM: The fans are everything to me/us. If we don’t have the fans then we’re just playing to ourselves. More importantly, it’s good to talk with people and find out what they’re about and how our music has touched or helped them. LM: What’s the best part about being in this band for you personally? RM: Getting to sing such thrash metal classics and having the opportunity to spread the metal love around the world and do some good. LM: Apart from music, what do you do in your free time? RM: Spend time with the kids and take wildlife pictures. When I’m not devouring the stage, I like to relax. LM: Any final thoughts or comments? RM: Thank you for the time and I hope to see all of you on the road one day soon! For more information about Metal Church and to view their current tour schedule, please visit www.metalchurchmusic.com or www.facebook.com/officialmetalchurch.